These two flush mates were selected from the Hoffman Sale in 2015. 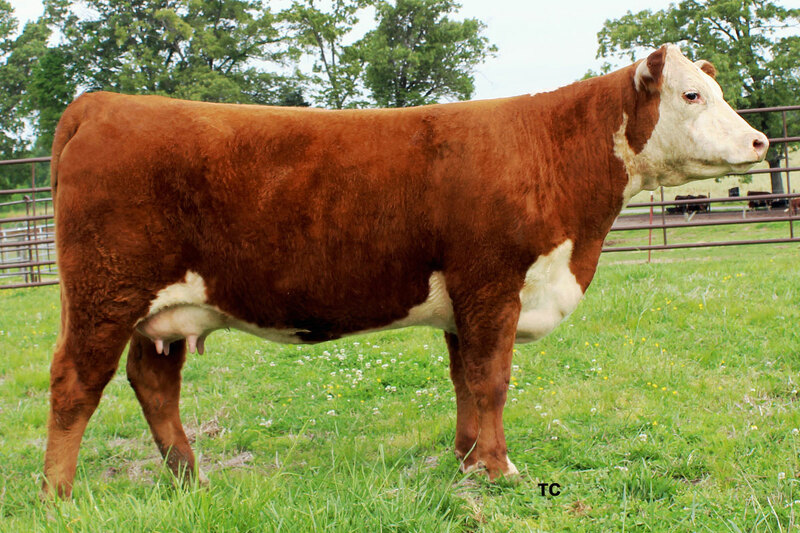 Through them and their flush mate bull – H WF GAME OVER 4018 ET — we are introducing the impact of the breed changing CL 1 DOMINO 955W bull and the near ideal, no miss Hereford cow K&B SWEET SALLY 5017. We never really planned to flush them as two year olds, but after they calved, we could not get them flushed fast enough. Most common comment from visitors, “may be the best udders that I have seen on a Hereford”! We’re hoping they have a tremendous positive impact on this herd now and down the road for several generations.